HIMALAYA: DOLPO: Porters ascending the Kang La (5375m / 17,635ft). 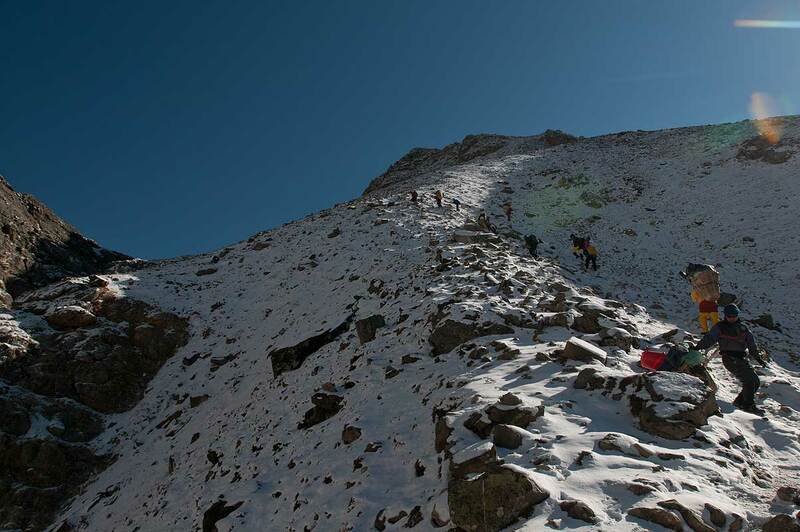 Porters ascending the Kang La (5375m / 17,635ft). The high pass en route between Ringmo and Shey Gompah, Inner Dolpo.